First of all- no,this is no real advertisment. I just bought myself a facial cleaning brush some weeks ago and think that some of you might also think about buying such a brush and wanted to share my own experience with it. I have already thought a lot about buying a face cleaning brush before, but was never sure if it is really useful, especially because most of them are rather expensive, not waterproof or had bad reviews. But then I´ve got an amazon voucher as a present and thought that it would be time to invest in such a face product. Since I have it I really use it regularly and can see how much cleaner my skin actually gets. 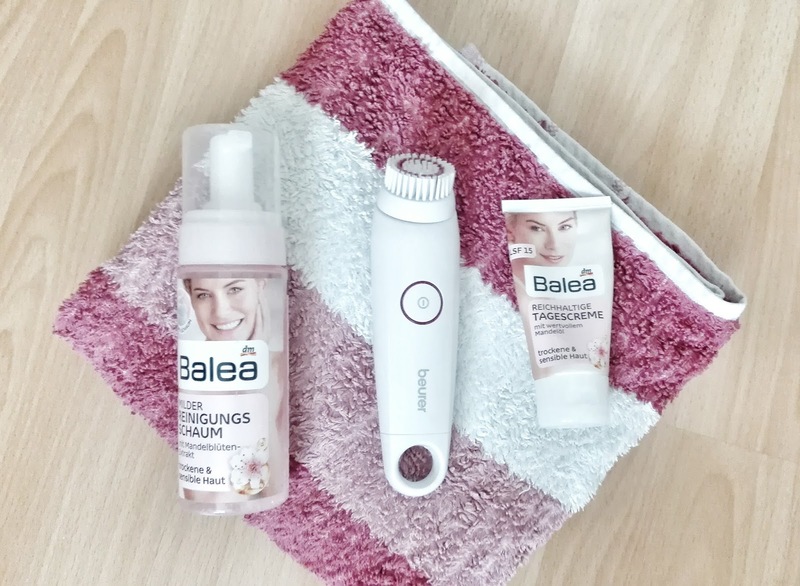 There is a big difference between just cleaning your skin with cleansing whipes and cleaning your skin with a cleaning brush, because the brush removes even that last part of make-up that the cleansing whipes don´t. 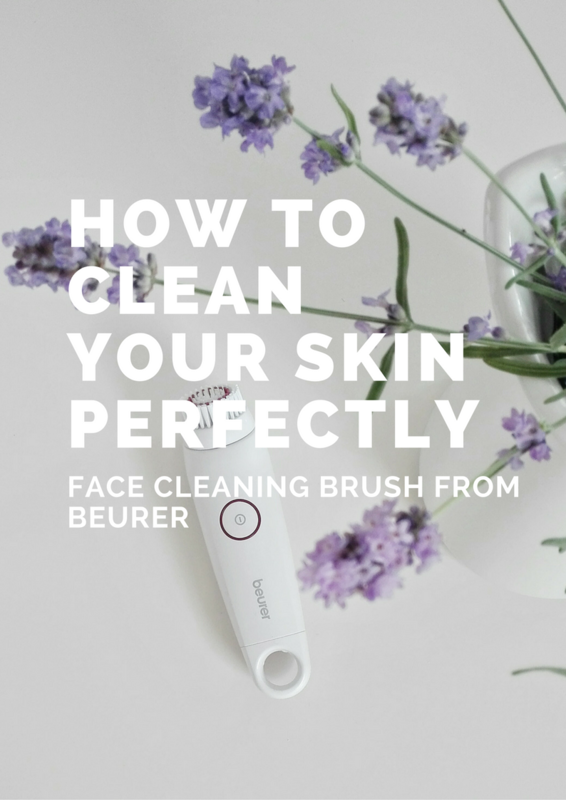 Apply some cleansing gel/foam on your skin with some water, then press the start button and use the brush on your skin with small rotational moves. With pressing the start button again the faster rotation speed of the brush starts. I sometimes change between the two modes, but everyone for sure likes it different. 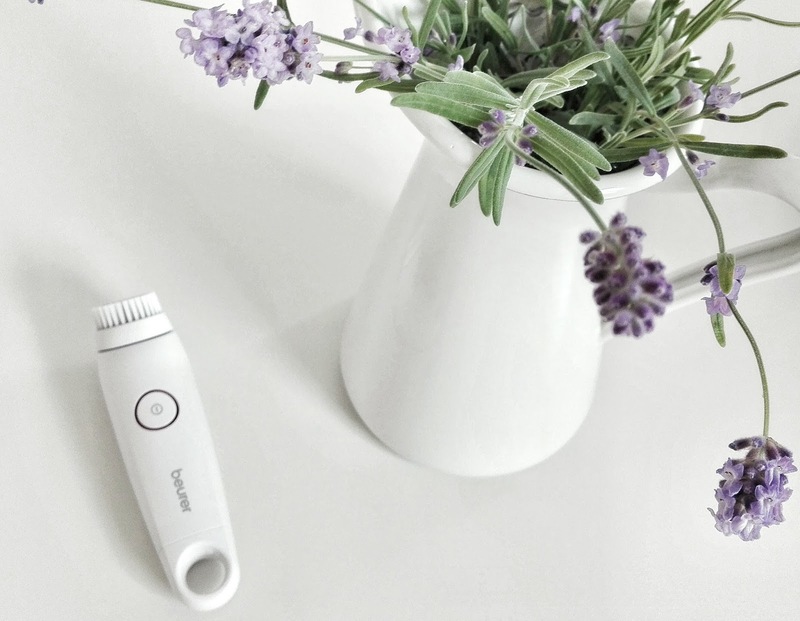 After 1 minute the brush automatically stopps because a much longer use would be bad for your skin. It is important to use a facial cream afterwards. I really like that it is waterproof so you don´t have to take care that it doesn´t get wet, which could be really hard. There is also a hanger integrated, which is perfect after you´ve cleaned the brush again. You should change the brush head every 2-3 months and clean it with water and maybe a sensitive soap after every use, so that it is hygenic. The price is amazing- especially when you see the high quality of the Beurer FC 45 . I bought it on Amazon and the delivery was really fast. In conlusion I don´t regret that I bought it and it already is part of my beauty routine. My skin looks much cleaner and is softer since I use the brush, so I can recommend it honestly to you. 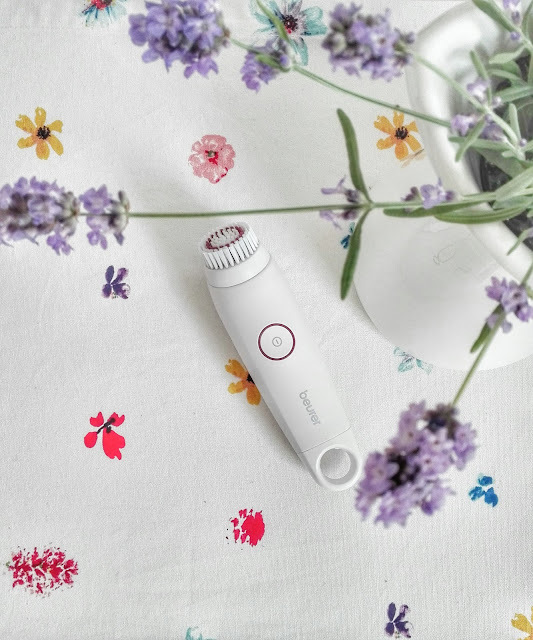 Do you already use a facial brush ? What do you think about them? Which are your experiences with them?